2. is the killboard compatible with the SSO and the new Eve version. 1. Yes and yes. It can do both. Infact the zkillboard api does no longer provide killmails but only ids and hashes, so they can be fetched via CCPs api. 2. It does handle SSO. 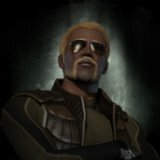 Whenever a new EVE version inteoduces new ships/modules it needs an update which Salvoxia usually delivera pretty quick, so worst case a few kills show up a few days later.